Approach — Bilyeu Homes Inc. Performance optimized. Our design work focuses on maximizing a home’s thermal enclosure so as to minimize the need for expensive or complicated mechanical heating and cooling systems. This is done through thoughtful design of the home’s enclosure, including super-insulation, thermal-bridge free details, and meticulous air sealing. We take into consideration multiple aspects of the project during the design phase, including constructability, performance, and cost implications. Our specialty is a custom design that when built will meet your budget. Collaboration with our customers is paramount to what we do. Your ideas become the inspiration that allows us to make your vision a reality. In the end your home should be a unique reflection of your specific likes and needs. One of many strategies that we can use to achieve a super-efficient home is the Passive House approach to design and construction. Read more about this methodology here. Craftsmanship and attention to detail. 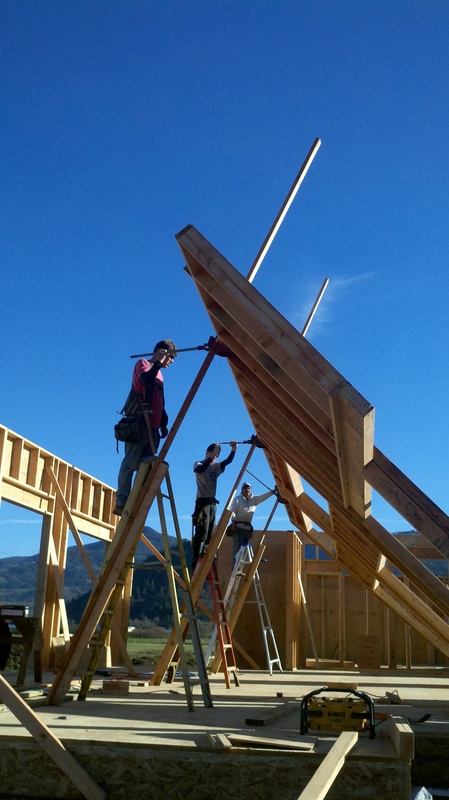 When it comes to building high performance homes we utilize high quality, healthy materials, and work with a tight knit team of subcontractors. Conservation and material responsibility are incorporated into every one of our projects. We encourage recycled, reused, repurposed and local products whenever possible. Performance and durability are critical elements that we focus on during both the design phase as well as during construction. Our practices rely on proven techniques and advanced assembly modeling to prevent moisture accumulation within assemblies. High indoor air quality is a core principle in all of our homes. By minimizing indoor pollutants from materials and by employing recovery ventilation systems, we work to ensure a healthy indoor environment for your family. Throughout the building process, your satisfaction is our top priority, and we strive to make your experience enjoyable. Comprehensive strategies. We offer consulting services with the goal of helping environmentally and energy conscious clients evaluate their specific projects. We support customers in finding the most cost-effective solutions, incorporating high performance assemblies and components into their projects. We work with homeowners, builders, architects, developers, and other energy consultants. Our consulting rate is $100/hr. Support for design and building projects can include detailed drawings of enclosure assembly profiles in CAD or SketchUp, energy and moisture modeling, emails, phone calls, equipment recommendations, technique advice, general problem-solving, and site visits if necessary. Consulting services can be short or long-term and are tailored to meet the needs of customers. References from previous customers are available by request. More questions? Contact us.